IO Interactive Keeps Hitman And Goes Independent | Nerd Much? The conclusion of Hitman‘s future and IO Interactive’s fate has finally been announced. After being put up for sale by Square Enix, fans of the Hitman series were concerned that the studio would be bought out by another company less willing to keep the games alive. Square Enix then tried to assure fans that they would make sure Hitman was kept whole and would go to a company invested in it’s future. A weak platitude, since it came only after fans made their unease known. Luckily, it will be IO Interactive themselves that will be making sure the series is safe and sound. According to a blog post from the studio’s CEO Hakan Abrak, IO Interactive is going independent. After much negotiations with Square Enix, they agreed to a management buyout, which means the Hitman IP won’t be leaving home after all. 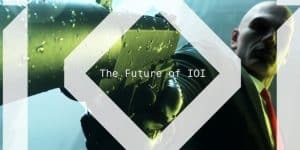 IOI now has “complete control over the direction for our studio and the Hitman IP,” and are “now open to opportunities with future collaborators and partners.” Abrak also states that they will be revealing their plans for the Hitman series in the coming week, and encourages fans to keep playing the games. Though this might seem like a win for the studio, going independent after being part of a major publisher has never spelled fortune for small studios like IOI. Hopefully IOI will not be one of them.